Now with 48 stars on the edge, honoring admission of Arizona and New Mexico as the 47 th and 48 th states. 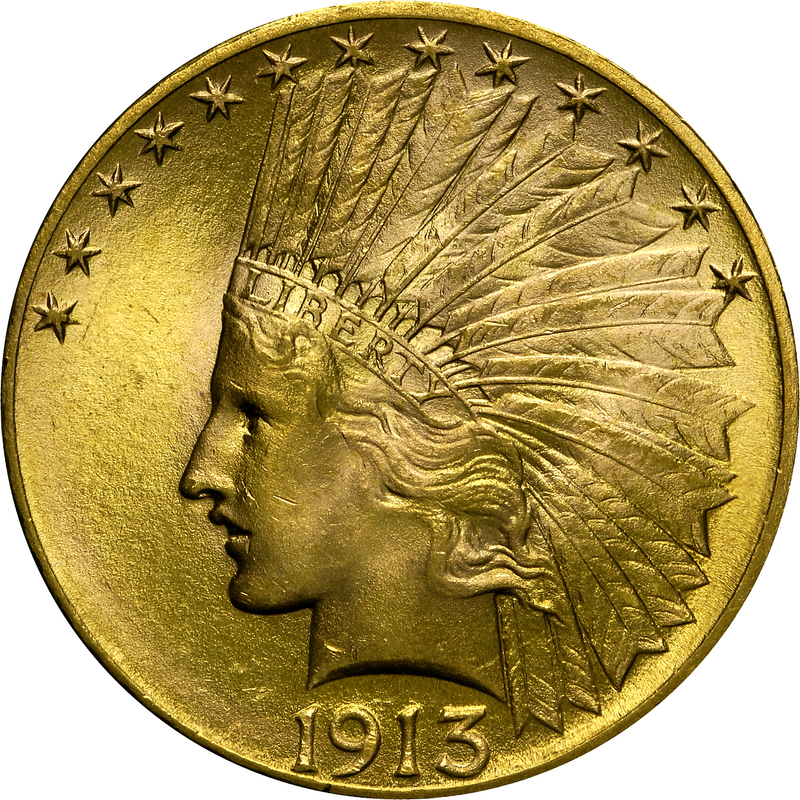 Otherwise, obverse and reverse designs remained the same as on earlier years. 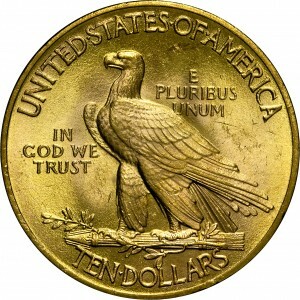 In practice, most collectors do not differentiate between the two edge types and include all With Motto coins from 1908 to 1933 as a single design type. 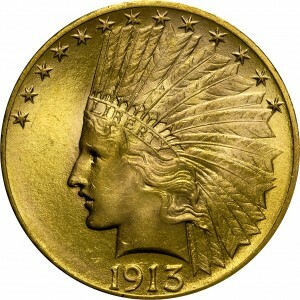 Purchased from Goliad Corporation, February 14, 1972.